A few of SA’s ‘demand resources’ preparing for duty. An obsession with the ‘unreliables’ – wind and solar – has destroyed Australia’s once reliable and affordable power supply. Consistent with that theme, Australia’s Energy Minister has just given the two fingered salute to Australian business. Josh Frydenberg is pushing a National Energy Guarantee which (as pointed out in last night’s post) could have at least restored reliability to a grid on the brink of collapse. However, the NEG has been rewritten by eco-zealots and renewable energy rent-seekers, to their advantage. In the document Frydenberg is using to promote it – Draft National Energy Guarantee – you’ll find plenty of babble about carbon dioxide emissions, but almost nothing about reliability or price. One of the NEG’s key elements (as promoted by Frydenberg) is what’s called ‘demand resources’ aka ‘demand management’. These aren’t ‘resources’ in the sense of having some commodity in reserve that might be of future benefit. Oh no, what’s meant is that whenever electricity demand rises and the sun sets or calm weather sets in, the consequent collapse in wind and solar power output results in major energy users and hundreds of thousands of households being unceremoniously chopped from the grid. This kind of demand management has been going on, on an ad hoc basis, ever since Australia started its attempt to run on sunshine and breezes. South Australia has been doing it for years; NSW gave its big industry a taste of Soviet-era rationing, a fortnight ago. If Frydenberg was the least bit interested in Australia’s economic fortunes, he would stop talking about ‘demand management’ and start managing supply. The choice is pretty straightforward: Australia delivers reliable and affordable power to industrial users 24 x 365 and those businesses will continue to deliver meaningful jobs, income and wealth, in return. The alternative is watching those industries – like miners, mineral processors and other heavy industry – simply pack up shop and head overseas where they are guaranteed to enjoy reliable and affordable power. Because the NEG – as proposed by Frydenberg – fails to provide any guarantee that electricity will be delivered as and when all power consumers need it, and says nothing at all about affordability, as an energy ‘policy’, it will never pass muster. Those Liberal and National MPs with a grip on their Nation’s self-inflicted energy crisis are dead against it. As we detail in upcoming posts. For anyone else looking to understand why it’s a complete dog’s breakfast, here’s The Australian’s Judith Sloan – tearing it apart, once again. There is a battle being waged over whether the national energy guarantee, in all its gory details, will be implemented. In theory, this is an arrangement that should ensure the electricity industry meets the government’s Paris emissions ­reduction commitment while also making the system reliable and, possibly, more affordable. The trouble for Environment and Energy Minister Josh Frydenberg is that while he is busily negotiating with federal Labor and the state and territory governments to see if he can get his preferred version of the NEG over the line, he has overlooked the fact some of his own party MPs have serious misgivings. He would be well ­advised to do a bit of simultaneous walking and gum chewing. It wasn’t a surprise that the latest version of the NEG, crafted by the ESB with maximum complex­ity and compliance costs, was ­released last Friday week at 5pm. We all know the purpose of putting out trash this way: minimal media coverage, minimal analysis. So let me cut to the chase on what the NEG really means. But before I go through the issues, let me point out two ­seriously misleading statements that Frydenberg has made in the context of this debate. The first is his claim that there has been policy paralysis in relation to energy policy for the past 1½ decades. This is just not so; we have had the renewable energy target during that entire period. (It was initiated by the Howard government in 2001.) The terms of the RET were ­altered by the ­Coalition government in 2015 — the target was reduced from 41,000 gigawatt hours to 33,000GWh by 2020 — but all the other key features remained in place, including its effective continuation to 2030. That there will be installed ­renewable (intermittent) energy capacity by 2020 of more than 23 per cent of electricity demand is a ­direct result of policy. 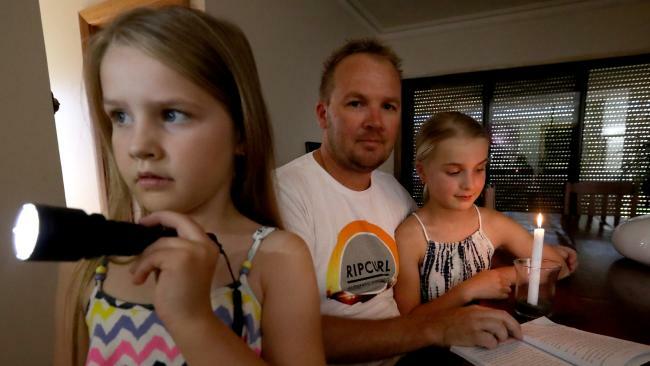 This has ­involved huge subsidies to renew­able energy, has pushed up wholesale and retail prices, and has driven dispatchable coal-fired generators out of business. In this context, it is useful to mention the International Energy Agency warning that once penetration of variable renewables ­exceeds 25 per cent to 30 per cent, the need for dispatchable power ­becomes critical for system ­reliability. There is no doubt that under the NEG this percentage well and truly will be exceeded. And note that there has been scarcely a dollar spent on new dispatchable generation in the past 1½ decades. In other words, the NEG is technology-agnostic as long as it doesn’t involve coal. In this context, it is interesting to observe that the share of coal in the electricity sector worldwide in 1998 was 38 per cent, exactly the same as last year. It’s just Australia and a few other outliers that are so determined to remove coal as a source of electricity generation. So let’s think about the NEG. There are four key issues that need to be considered when deciding whether the policy framework is worthwhile. They are: the definition of reliability; the abatement trajectory; the use of offsets; and the role of demand management. We also should throw into the mix the future of the Liddell coal-fired plant in NSW that is slated for closure in 2022 and is now in a bad state of repair, thanks to the inaction of owner AGL. Importantly, the definition of reliability must take into account unusual events: wind, drought and extended cloudy periods, for ­instance. The definition being proposed by the ESB is essentially an averaging process, which just plays into the hands of the renewable energy sector that cannot offer ­reliability. Note that backup is very expensive, particularly given the price of gas. The second issue is the pace at which the 26 per cent cut in emissions by 2030 will be achieved. The ESB is proposing an emissions-­intensity scheme in which the ­intensity figure is proportionally ratcheted down each year. (By the way, Trent Zimmerman, member for North Sydney, all these schemes are carbon taxes or at least carbon prices — that’s how they work.) The alternative would be to backload the requirement, which makes sense because of the clear lack of progress worldwide in ­reducing emissions as well as the scope for new technologies to emerge. The use of offsets is a key issue — it makes the most economic sense for the retailer to be able to satisfy the emissions reduction ­requirement by purchasing local and international carbon credits (at a quarter of the cost of local ­renewable energy projects). There is scope for some trade-off between the abatement trajectory and the use of offsets. The greater the scope to use offsets, the closer the trajectory can be to a straight line. Without their use — which Frydenberg has stunningly said is possible — Australia would be very badly served were the trajectory not to be backloaded. Then there is the issue of demand management. 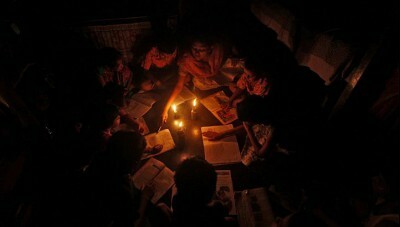 This is just surrender; we should expect electricity to be supplied when and where it is demanded. This part of the NEG should be removed completely. We should not be seeking to force the closure of large ­energy-intensive plants. A final consideration is the ­future of Liddell. Its closure will create an enormous hole in the electricity market in NSW and higher wholesale prices. AGL is simply not to be trusted — after all, it sold off its contracted gas supplies for export — when it declares it will make up for Liddell’s lost capacity. The government needs to give serious consideration to installing a new operator at the Liddell plant and paying AGL its written-down value for the plant and site. It may be something a Liberal government normally would not do. But, then again, a Liberal government normally would not support a RET, spend billions on a new government-owned operation (Snowy 2.0) or oversee policies that are hostile to coal. We live in strange times. Industry? We donna need no steenkin ‘ industry. I’m puzzled by Australia’s proposed NEG. Renewables proponents (reneweconomy, etc) are against it, and renewables opponents (STT, Judith Sloan, etc) are against it. So who is pushing for it to be adopted? On the old adage of ‘follow the money’, I’m guessing: The energy companies smelling the opportunity for increased costs and thus increased pro-rata profits? Politicians angling for a greater role for themselves in the power business? An insider stated to me that the wind industry lobbyists are climbing the walls of Parliament House, Canberra. The NEG is a bandaid only solution. We will still bleed from many cuts that this ‘fix’ does nothing to address.I cannot understand how the idiots in parliament don’t realise how perilous is our energy supply. More importantly, they are the ones directly responsible for the situation that Australia finds itself in. Why anybody could possibly vote for Liberal/Labor/Greens is beyond me. They deserve nothing but contempt! No the Liberal/Labor/Greens need to be held accountable for the disaster that’s heading Australia’s way and anyone backing renewables should be tried for Treason.